sing a digital solution like SmartTrade is a great way to take a step toward a paperless office, which is more environmentally friendly and can help you save money. But replacing your receipts, invoices, and other records with digital copies isn’t all you can do to go green! A recent article by smallbusiness.co.uk showed just how much money you can save by being more environmentally friendly: you can cut your bills by 20% by having an energy efficient office, allowing staff to telecommute can reduce the amount of office space you pay for, and increasing the air quality of your office can significantly reduce absenteeism. But you don’t need to buy all new equipment to start your trip toward a green office. Just using the SmartTrade app to reduce the amount of things you need to print can be a big step in the right direction. 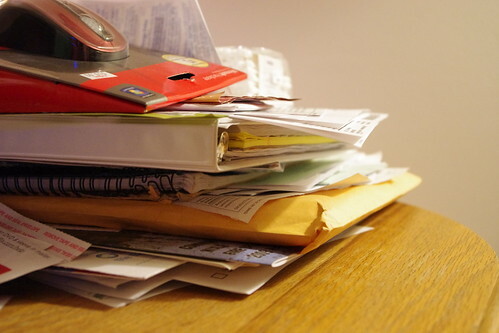 By taking care of all of your billing without using any paper, you’ll save on the cost of ink, paper, and even electricity. Plus you’ll create less waste. Keeping customer records in the SmartTrade web dashboard can also help you reduce the carbon footprint of your office; you don’t need to shuffle papers around trying to find a customer’s last transaction, payment information, or contact details. Just look it up online. It saves paper andtime. We’ve talked about how to move your office towards being paperless before, and the steps are very simple: buy a portable document scannerto scan all of your paperwork, start moving as much of your information as possible to the cloud so you don’t need to keep hard-copy backups, and make sure everything is backed up and secure. While these small steps won’t save you as much money as replacing all of your office equipment with more energy-efficient models, they’ll help get you moving in the right direction. A lot of people would have you believe that a green office is an all-or-nothing affair, but it’s not. Take small steps and you’ll eventually start notice that you’re saving money. Plus you’re doing a good thing for the environment, and that’s a bonus! If you’ve started taking your office paperless or you place an emphasis on green technology, let us know in the comments or on our Facebook pageand tell us how it’s going! Image credit: Jellaluna via flickr.